“They need to do their job and get a repeal and replace package out," says Gianforte. Senate Majority leader Mitch McConnell has said they will stay and keep working on it the issue in hopes of sending their package to the House for consideration. "The leadership in the House has said when the Senate passes it, even if we’re on recess in August, they’ll call us back within 72 hours to get working on it," Gianforte says. "This is critically important. This is the number one topic." Gianforte says the current law, known as both the Affordable Care Act and Obamacare, isn’t working. One sticking point is what to do about Medicaid Expansion that is part of the law. Gianforte was asked if Medicaid expansion remained in a Senate bill, would he support that provision. "I do not believe we should rip the carpet out from people who’ve been added to the program. But I also think we need to put some guardrails on it to make sure its affordable long term," he says. "A program that’s upside down financially doesn’t work for anybody. That the discernment that needs in this. That’s the common sense we need to apply this is what we did in business my whole life. We balanced budgets and a program you can’t afford doesn’t work either." After his stop to the YPR studios, Gianforte was scheduled to visit the Big Horn County Memorial Hospital in Hardin. The Republican says his principals remain the same, premiums need to brought under control, preserving rural access to care, and protecting people with pre-existing conditions. On another matter, Gianforte was asked for his comment on Thursday's request by Gallatin County Attorney Marty Lambert asking a judge to require the Congressman to be fingerprinted and photographed now that he has pleaded guilty to assaulting a reporter. Gianforte told YPR, "That’s a technical, legal issue I’ll let the lawyers sort that out. My focus is on serving the people of Montana." Gianforte had requested he be exempted from the usual booking process for criminal defendants. He pleaded guilty in June to a misdemeanor charge of assaulting Guardian reporter Ben Jacobs the day before Montana's special election. The encounter was captured on Jacobs' phone and went viral on social media. It is not clear when Judge Rick West will issue a ruling on the matter. On Sunday President Donald Trump sent out a tweet that some interpreted as encouraging violence against reporters. In a short video clip from Trump’s 2007 appearance in a pro wrestling match, he can be seen bodyslamming a man with the CNN logo superimposed over his face. Congressman Greg Gianforte has been assigned to serve on two congressional committees — one focused on natural resources, and the other on government oversight. Republican Greg Gianforte announced his committee assignments on Wednesday. As a member of the House Natural Resources Committee, Gianforte will help craft policy on a wide range of topics, including public lands, mining, wildlife and Indian country. Greg Gianforte Sworn In As Montana's US House Rep.
Greg Gianforte was officially sworn in as Montana's sole representative in the U.S. House Wednesday. The Republican entrepreneur from Bozeman takes office less than two weeks after pleading guilty to misdemeanor assault for attacking Guardian Reporter Ben Jacobs the evening before in-person voting began in Montana’s special election May 25. 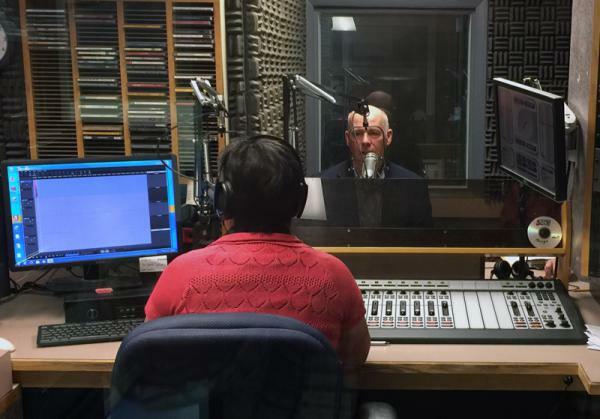 In an interview with MTPR after being sworn in, Gianforte said again that he wants to put the assault behind him.